Thank you to all our hardworking Pancake Breakfast crew for what to the rest of the Parish was a leisurely delicious breakfast. We hosted some special guests this morning, including our State Deputy Ed Shawchuk and his wife Sandra, as well as the newly installed officers of the Catholic Women’s League. Thanks, too, to our Blood Pressure checkers and to Bro. Americo Silva for the work they put toward looking after people’s health and well-being. 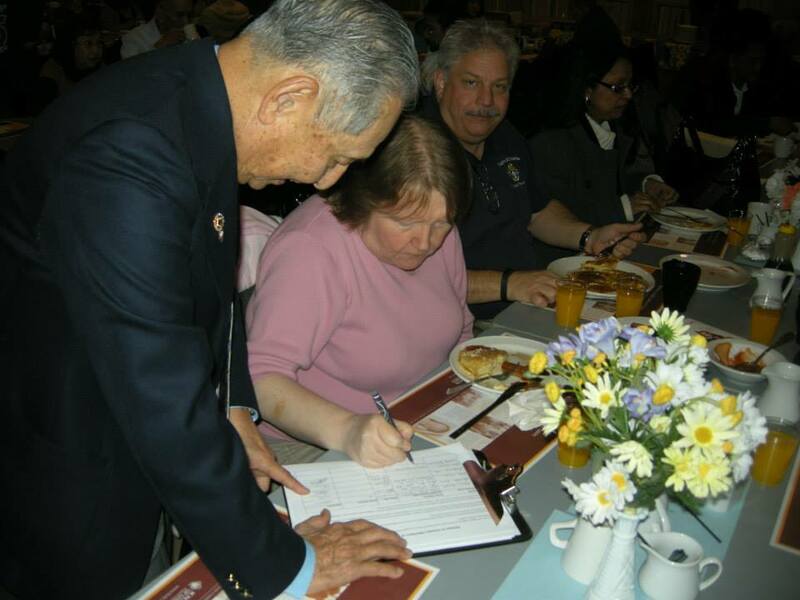 And to Bros. Francis Lee and Tony Rodriguez for collecting signatures for our anti-assisted suicide petition, creating awareness and providing folks with a vehicle to air their alarm about this issue. Brother Knights, Lent is upon us this week. We are requesting one hour from your Lenten penances to be put toward the 40 Days for Life vigil at the BC Women’s Hospital. St. Paul Parish is covering Sunday March 8 from midnight to midnight. The hours between 7am to 7pm will be at the vigil site along Heather St. corner 29th Avenue, and the remainder will be at the Adoration Chapel. Bro. Patrick Macken and his wife Caroline are collecting one-hour pledges. You can also email me your pledge at kofc6855 at gmail dot com. We must persevere in our efforts to fight against these assaults on the sanctity of human life. bring your candidates to our First Degree Exemplification this Monday Feb 16. Let’s have a very strong showing as a fitting prelude to our March Membership Blitz. on Tuesday, let’s all be there for the Knights Education Seminar starting at 7pm and turn it into a pep rally. Watch the thermometer rise! Let February 18 be a solemn celebration of the start of Lent, as well as a jubilant one for those of you who celebrate the Lunar New Year! Our God is big enough to accommodate both. Sports Program Director and team: Regionals are coming up this Saturday. Let’ s get our kids into best form!